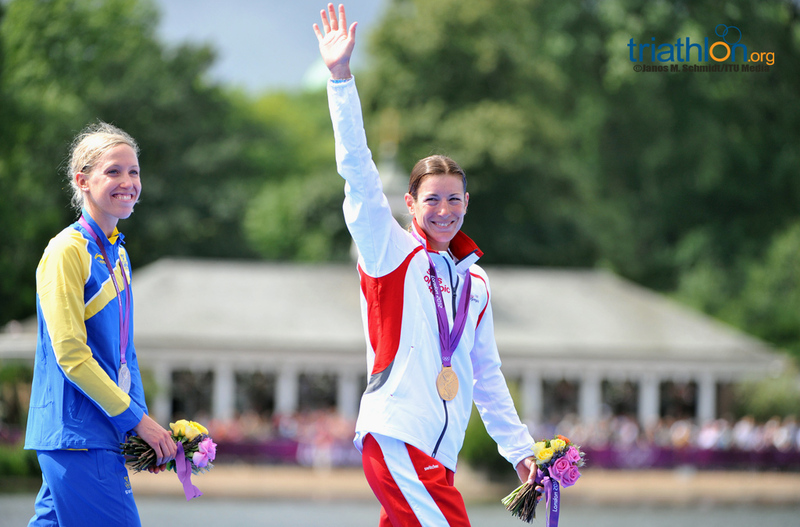 The French Triathlon Federation has announced the selection of the six triathletes to represent France at the London 2012 Olympic Game. The three women’s places are awarded to Jessica Harrison, Carole Peon and Emmie Charayron with the men’s team made up of David Hauss, Vincent Luis and Laurent Vidal. Hauss secured France one of the maximum three male quota for London 2012, to enter his first Olympics. The first half of the year has produced some impressive results for Hauss including gold in Ishigaki and bronze in Mooloolaba. Vidal is currently France’s highest ranked athlete in tenth, thanks to a win in Mooloolaba followed by bronze in Sydney this year. London will be Vidal’s second consecutive Olympic Games. He finished 36th in Beijing four years ago. Rising star Luis will make his Olympic debut in London. A past junior world champion and junior European champion, he’s only raced once this year due to injury but made quite an impression on the elite ranks last year, finishing 10th in London and 8th at the Grand Final in Beijing. The women’s team consists of Harrison who finished 12th at the 2008 Beijing Olympics, which was the best result for a French woman since Sydney 2000. 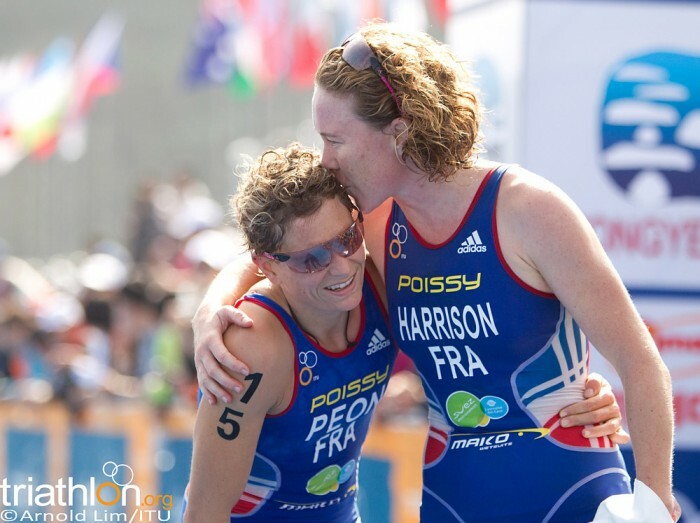 The veteran Harrison has enjoyed a bit of a resurgence in her career in the past year, claiming her first World Cup title in Tongyeong last year and finishing fourth at the recent European Championships and fourth at the ITU World Triathlon Series San Diego, her best WTS result since 2009. Charayron will make her Olympic debut in London. The 2011 European Champion, finished with bronze this year in Eilat. Although less consistent than Harrison, Charayron is highly capable on the world stage; she been on the podium twice in Madrid in 2010 and 2011. Rounding out the women’s team is Peon, who will make her second trip to the Olympic Games after finishing 34th in Beijing. After struggling with injury last summer, Peon returned to the circuit strong with a 4th place finish in Tongyeong, then taking her first World Cup title in Guatape in November. Emmie Charayron (FRA) once again reigned supreme as a European champion, this time in the women's elite division at the 2011 ETU European Triathlon Championships.